You’ve just finished a day of touring in Toronto. You ate at the 360 Restaurant in the CN Tower and now you’re going to Niagara Falls. Of course, you want to check out the the Skylon Tower and its revolving restaurant, but since you’ve already eaten at the 360, you may want something different than another restaurant with a view. Aside from the American restaurant chains with slightly modified menus, there is also a small pizzeria that many overlook. At 5785 Victoria Street, just a small walk away from the top of Clifton Hill there is a restaurant called Antica. It’s been recommended to me by many people and I have to say, the Nutella Cheesecake on their menu alone would have sold me to try it out! If you enjoy oven baked pizzas, or just want a simple panini, this restaurant is definitely a good place to take a family. Or, if you’re staying the night, try their dinner, which offers a wide selection of pastas, replacing the lunch time panini’s. On your way back down to the Falls along Clifton Hill you’ll pass the Sky Wheel, a great attraction that will give you the second best view of Niagara Falls (after the Skylon Tower, of course!). Grab a coffee at the Tim Hortons right beside it and enjoy a relaxing trip 175 feet above the ground, giving you a different angle of the falls as you go up and then back down. This is something that the Skylon Tower experience simply cannot provide. 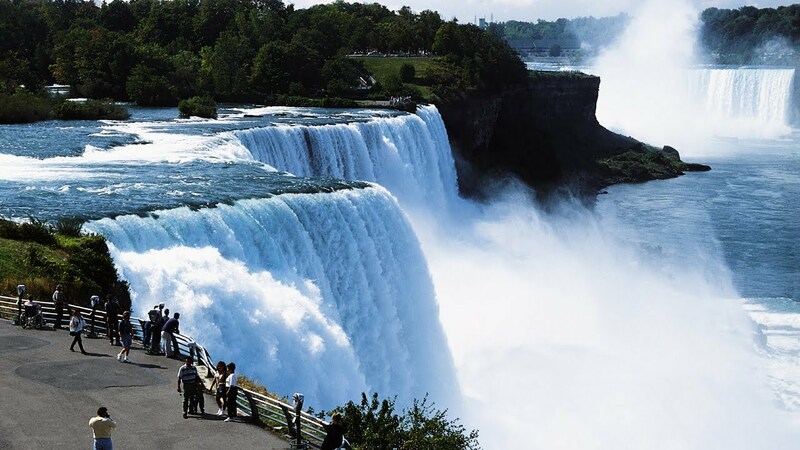 These are just some of the things that Niagara Falls offers to visitors at any time of the year.